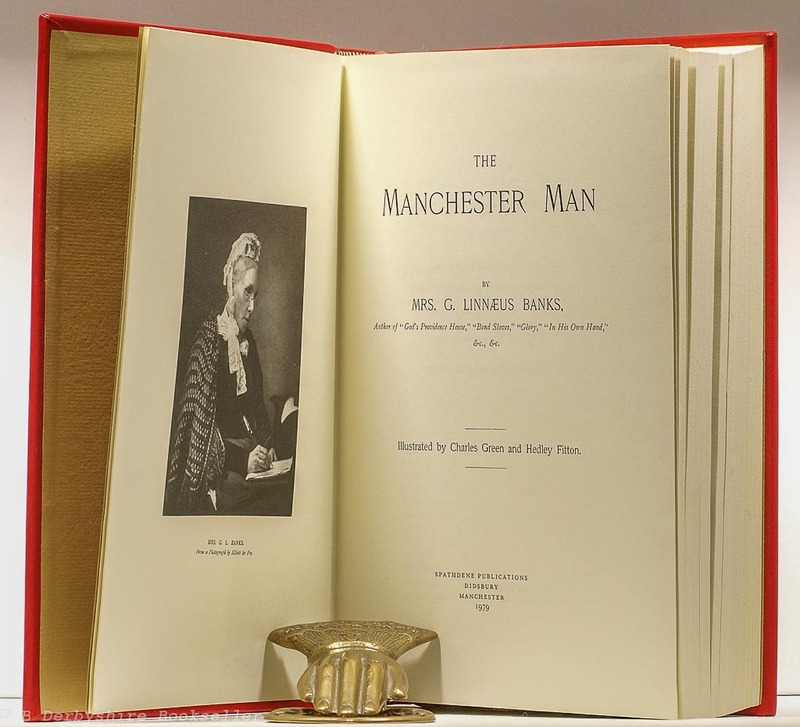 A popular novel containing much social history of Manchester. First serialised in Cassell’s Magazine, then published in three volumes by London publisher Hurst and Blackett in 1876 and with numerous publishers having the book in print since then. 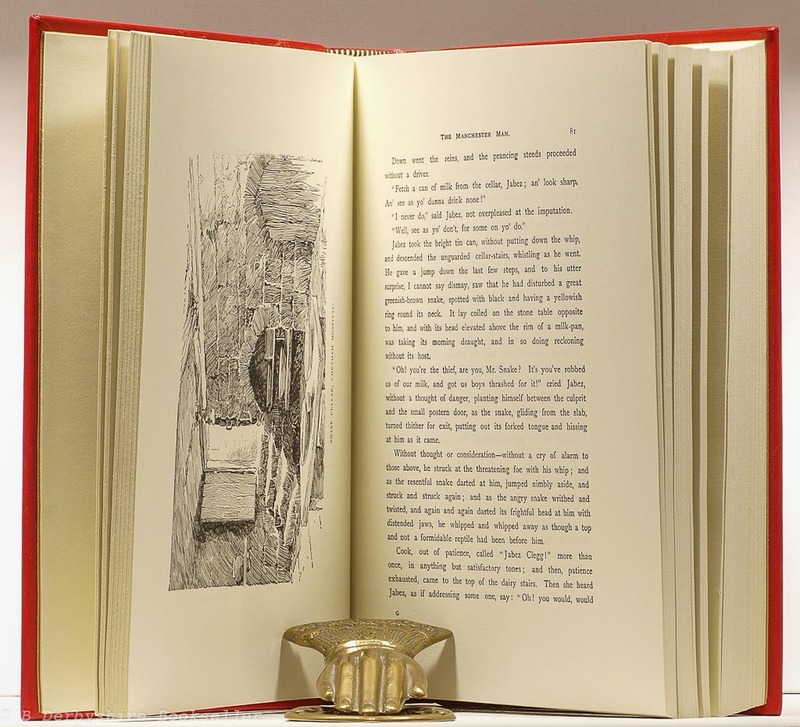 This copy being a facsimile reprint (with additional illustrations by Albin Trowski) of the one volume edition published by Abel Heywood & Son in 1896. 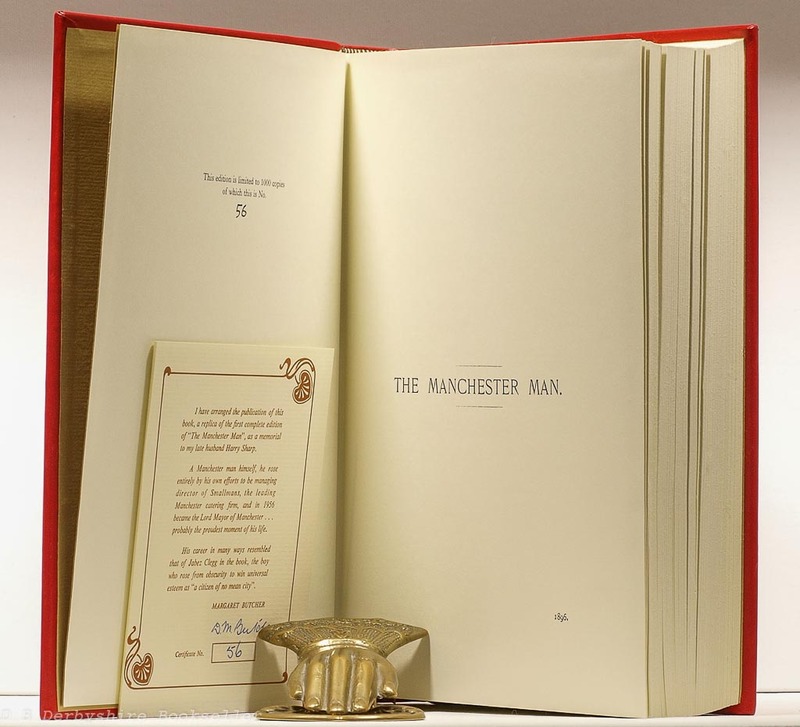 Number 56 of a limited edition of 1000 copies. 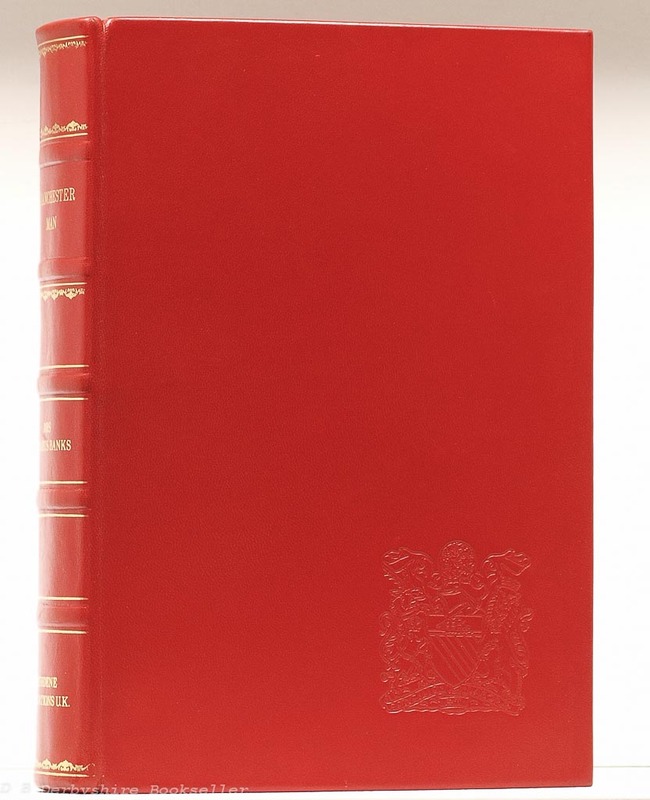 Hardback – full leather binding, gilt title and decoration to spine, blind stamped coat-of-arms to front board, sewn-in ribbon page marker, numbered certificate loosely inserted. 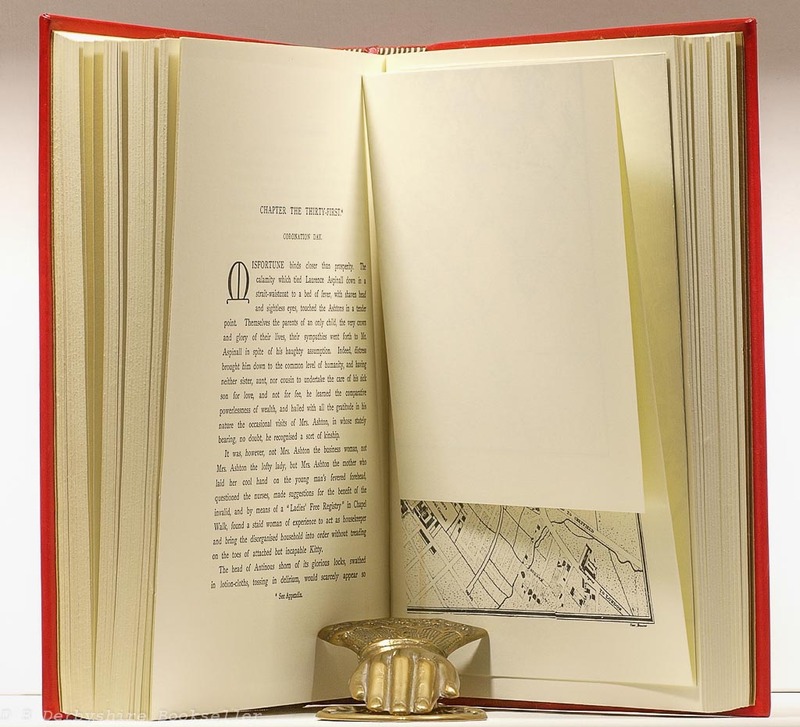 ix, 480, pp plus b/w illustrations and fold-out map. 10 x 7.25 inches approx. (257mm x 184mm). 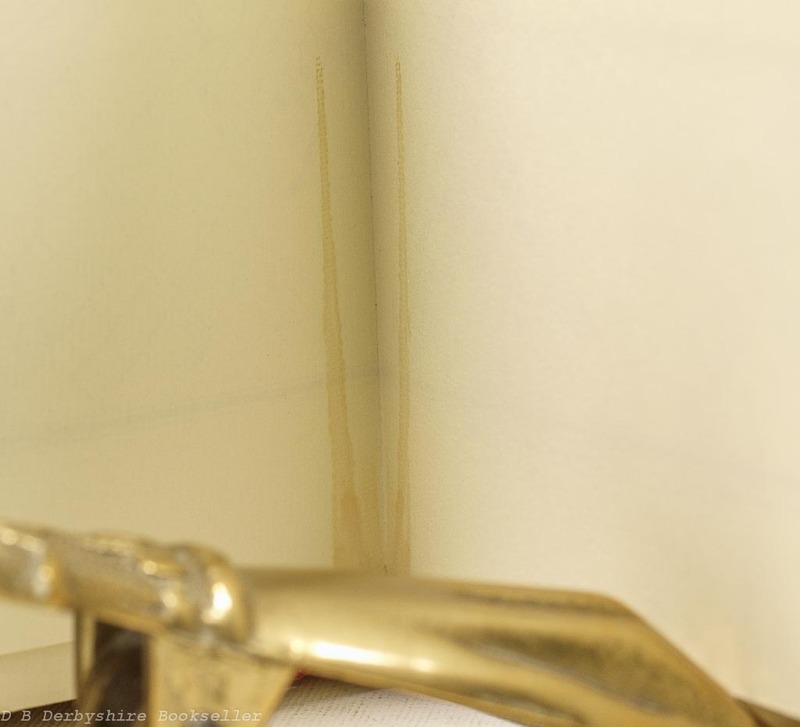 Leather a touch marked and scuffed; staining to map and adjacent pages where the ribbon page marker has leached onto the page. 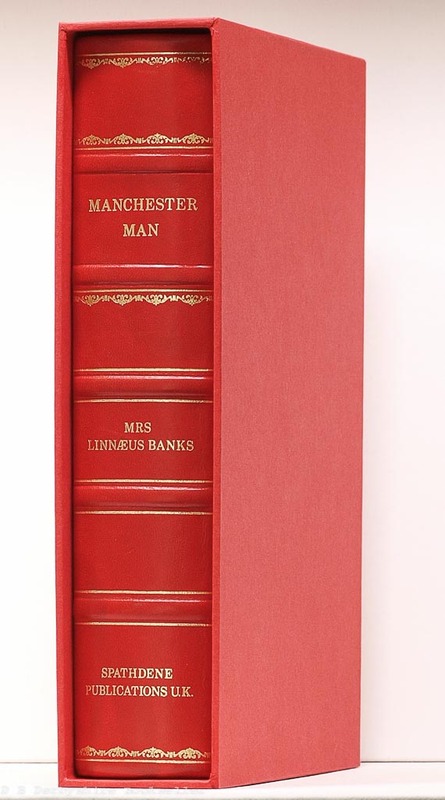 Overall, a nice copy indeed housed in its custom slipcase.